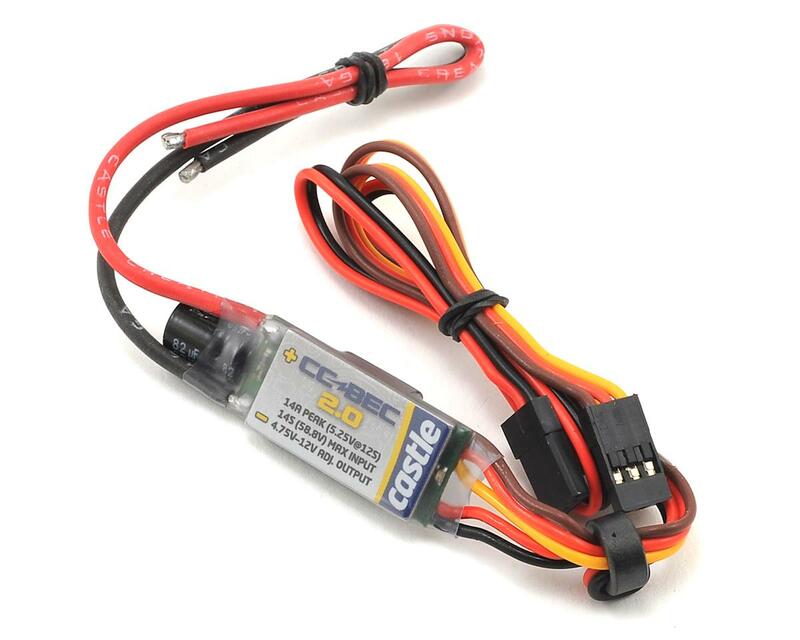 This is the Castle Creations BEC 2.0 BEC Voltage Regulator. 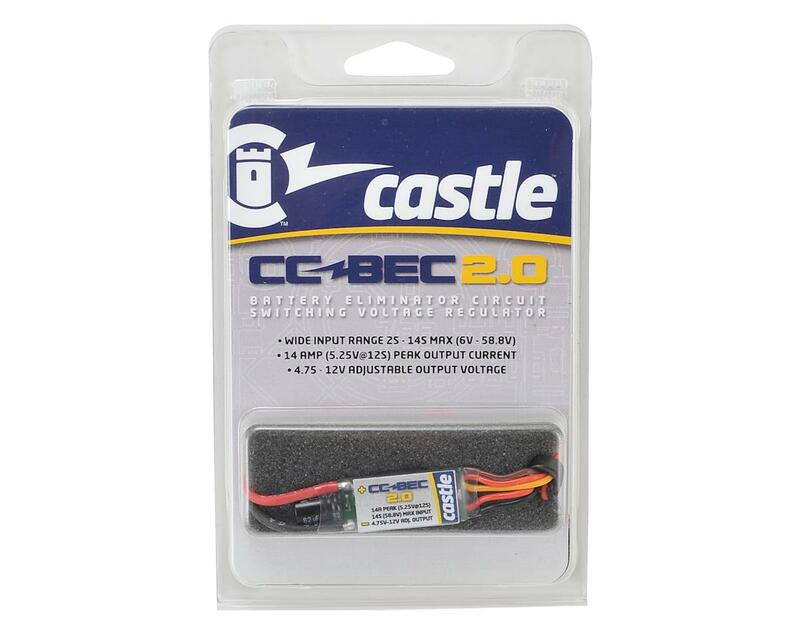 The CC BEC 2.0 features heavy duty, dual output wires that will provide clean power to sensitive radio equipment. Castle Link2 can be used to set the output from 4.75 to 12 volts and power today’s power hungry servos, cameras, and other accessories.